Hearing the news that Alexandra & Thomas were coming to celebrate their first year of wedded bliss at The Mansion, we felt compelled to write about their beautiful wedding. 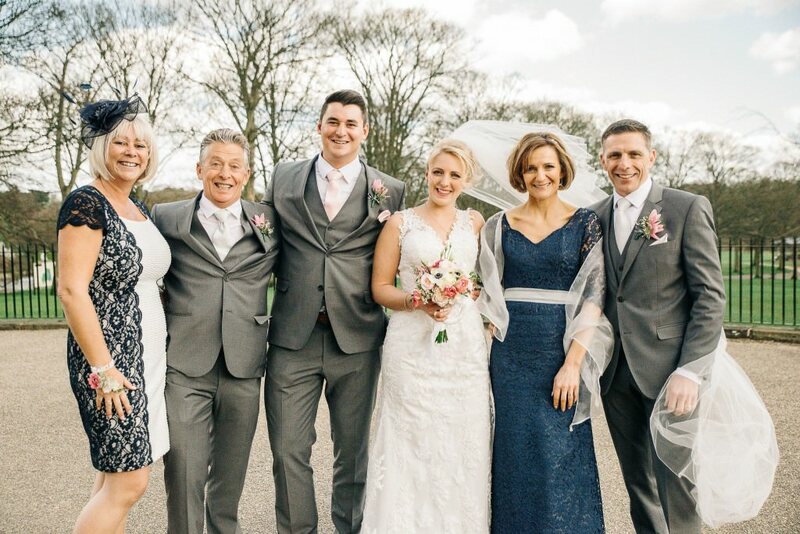 Although the wedding took place over a year ago, it was clear when speaking to Alexandra that the wonderful memories of her day were still fresh in her mind. When and where did the proposal happen? Thomas proposed in Sherwood Forest, Center Parks in January 2014. Thomas had stashed the ring down the front of his trousers, so was walking very strangely! He excitedly asked Alexandra to marry him and she of course said yes. They celebrated their engagement that evening with a romantic dinner and then went bowling. 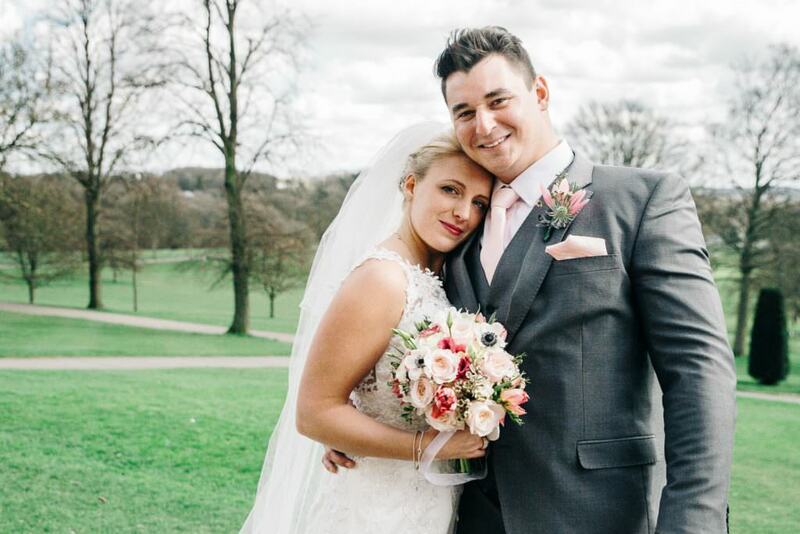 Alexandra and Thomas got married on 11th of April 2015. Alexandra’s Mum and maid of honour work in education, so they needed to get married out of term time. The Easter holidays are a popular alternative to those first couple of weeks of the summer holidays when so many teachers get married! Why did they choose The Mansion? Alexandra’s Mum & Dad came to a wedding fair at The Mansion, so suggested it as the wedding venue. 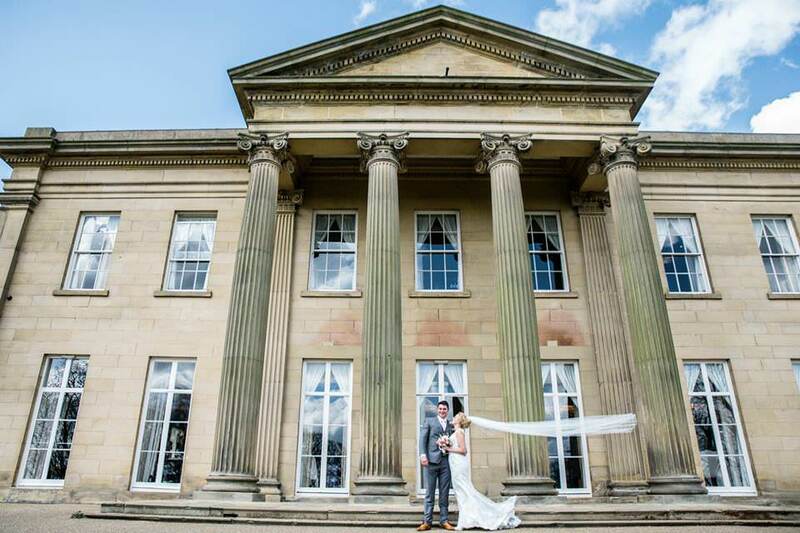 They fell in love with The Mansion as soon as they arrived! All of Thomas’s family live in the south of England, so The Mansion was perfectly situated for people to find as it’s close to the city centre. Alexandra & Thomas stayed at the Marriott hotel along with most of their guests. The Mansion provided the perfect setting for their guest numbers, as they had 120 guests during the day, plus an additional 40 guests in the evening. In Holy Trinity church in Leeds, so it was a short car journey (around 20 minutes) to get the The Mansion. It was great because they didn’t waste time in the car getting to the venue, so could enjoy more of the day celebrating with their nearest and dearest. Did the wedding follow a particular theme? Most of their decorations were handmade, which added a really personal feel to the day. 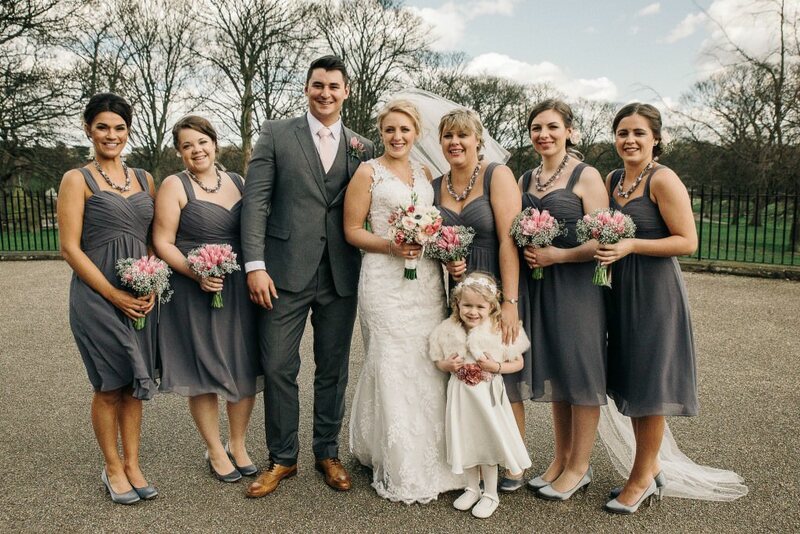 The wedding colour palette was grey and pastel pink, which was very elegant. 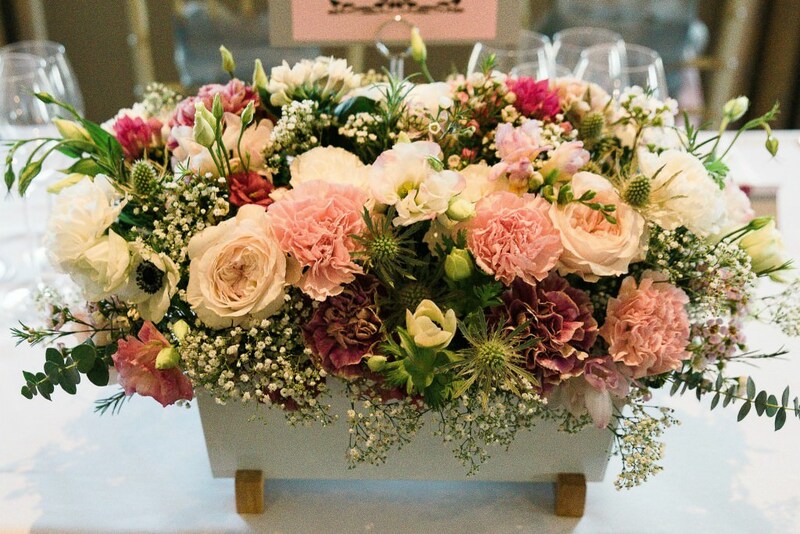 Alexandra’s uncle & cousin arranged the flowers – embracing the spring theme, they chose Meadow flowers for the centre pieces and bouquets. What style was the wedding dress and where was it from? The majority of the wedding attire came from a little shop in Rawdon called Bridal Apparel. Susanne & Jodie (mother & daughter) run the shop and everything was made to measure. Alexandra’s dress was handmade, lace & beaded with fishtail. Absolutely stunning! Your bridesmaids/groomsmen what did they wear? Everything was made to measure at Bridal Apparel. Mother of the Bride had a dress made in navy blue lace. The most memorable part of Alexandra’s day was when she saw Thomas in church, she squealed with excitement! As most of the family were gluten free, this was an important consideration. 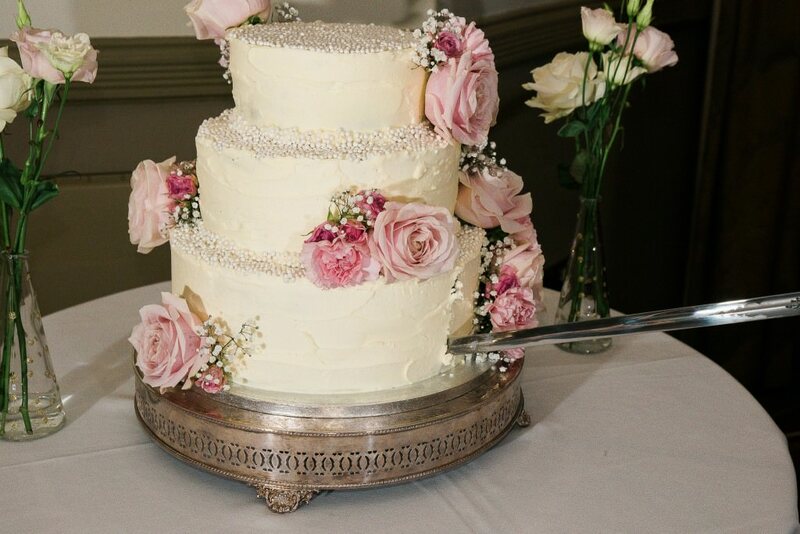 Victoria at (No.2 Oxford place) is a coeliac baker and did an absolutely incredible job on the wedding cake. Nobody could tell it was gluten free! Dine helped to design a menu for the day. Alexandra and Thomas had a meeting with their Event Manager and one of the Dine chefs to discuss their gluten free menu. They were very happy that despite having to choose GF options, at no point were they compromising on flavour or presentation of their dishes. After the tasting, Alexandra & Tom were sent home with the left over sticky toffee pudding that they had chosen for their dessert– they were delighted! Alexandra expressed that nothing had been too much trouble for Dine. We embraced her family, answered all of their questions and delivered everything that had been requested… and more! Did your Dine Event Manager, do anything to make your day extra special? Craig was Alexandra & Thomas’s Event Manager. Alexandra mentioned that on the day, one of her guests didn’t show up, so her bridesmaid arranged for another guest to attend. They arrived with their partner and advised that they were both vegetarian (for which there wasn’t a menu option). Craig very quickly added an additional place setting to the table and arranged for the chef to whip something up in the kitchen that was vegetarian. Alexandra thought that it was brilliant – nothing was too much trouble and on the day she had no idea what was going on behind the scenes. After the Wedding, the pair jetted off to the Dominican Republic for 14 days (it was very hot!). In hindsight they wish they had booked something maybe 5 weeks after the wedding, rather than going away straight away, to avoid the post wedding lull. Any top tips for future Brides & Grooms? Pick the things that are the most important to both of you. Do not rush! Sit down with your photographer – be clear on what you want to achieve. A few key shots were missed on the day, which was a little disappointing. The couple didn’t want the evening guests to feel separate, so welcomed them properly by moving the day guests downstairs before they arrived. This gave everyone chance to mingle and catch up before the evening festivities begun! Alexandra & Thomas celebrated their first anniversary by booking a private lunch in the Barran room at The Mansion – very romantic! If you are interested in holding your Wedding at The Mansion, call and chat to a Dine Event Manager today – 0113 269 1000. 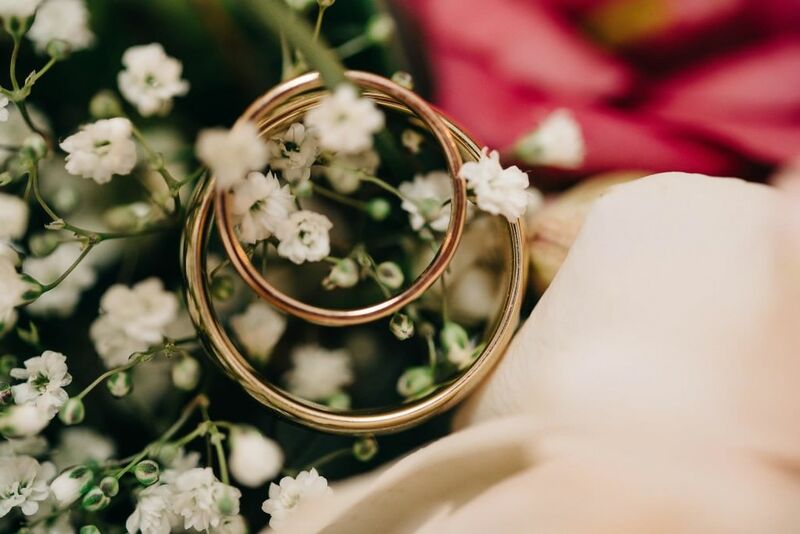 We will be delighted to chat through your plans and arrange a time for you to come and look around, taking the first steps towards planning your perfect Wedding Day.